I recently bought a Nintendo 3DS XL and of course I just had to order an R4 (R4i SDHC RTS in my case) cartridge so that I could play none other but DSDoom. Due to the age of some of these projects there were scarce details on how to get that working so it took quite a bit of searching around and trial and error but in the end I had Doom running on my 3DS! Unlike some of the other 3D games on 3DS, Doom doesn't require you to look up and down which makes it easy to control and doesn't involve using the stylus for input. If you tried playing 'Moon' you would know what I mean. This was how the R4i was packaged - the R4i cartridge itself and a micro-USB to USB adapter. There was a slot on the R4i to insert a SD card. SD cards up to 32Gb in size could be used. My R4i didn't come with a SD card so I had to use one of my own. That also meant that I needed to do some initial setup. I got the latest kernel from the R4i downloads page, which at the time of writing was the 3.9b version. I also downloaded the DSDoom distribution from the archived version of the official web site. Unfortunately the actual site seemed to have been down for years. The downloads page could be found here and the latest version 1.2.1 package here. Setting up the SD card was easy. 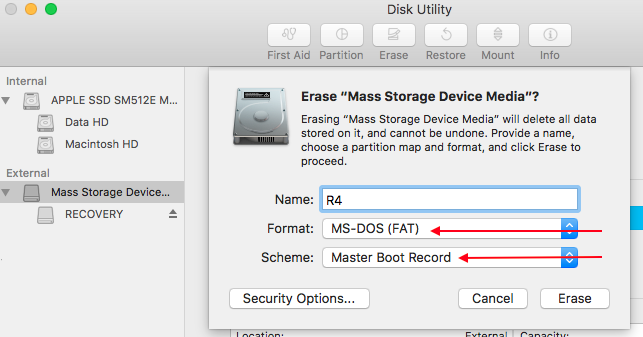 First I formatted it with the FAT file system (and MBR for boot record). Then I transferred all of the necessary files both for the R4i kernel and DSDoom. Note the locations of the DSDoom WAD files and the NDS file, they had to be placed into different folders. Then it was a matter of ejecting the SD card, pushing it in to the R4i and putting the R4i into my 3DS. The R4i came up as 'Bomberman Land' (odd but whatever), tapping that launched the moon interface, then DSDoom could be found by tapping the controller icon. The 'A' button launched it. All pretty simple! I did have a few crashes every now and then, especially if closing the 3DS while in the middle of a level. Its far from playing the new 2016 Doom but definitely brings out the same feeling of nostalgia and fun along with it! Can't wait to try out ctrQuake next.